BBC has an interesting article on the effects of culture on evolution. You shouldn’t be able to drink milk. Your ancestors couldn’t. It is only in the last 9,000 years that human adults have gained that ability without becoming ill. Children could manage it, but it was only when we turned to dairy farming that adults acquired the ability to properly digest milk. It turns out that cultures with a history of dairy farming and milk drinking have a much higher frequency of lactose tolerance – and its associated gene – than those who don’t. Drinking milk is just one of example of the way that traditions and cultural practices can influence the path of our evolution. Culture and genetics are traditionally thought of as two separate processes, but researchers are increasingly realising that they are intimately connected, each influencing the natural progression of the other. Scientists call it “gene-culture co-evolution.” Why does it matter? If we can pin down how culture influences our genetic makeup – and how the same processes apply to other creatures too – then we can be better understand how the way we act as a society today could influence our future. 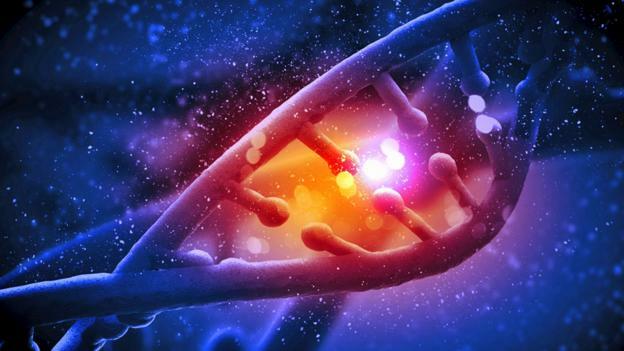 more at BBC – Future – How human culture influences our genetics. This makes a lot of sense if you think about it. Culture is part of the environment in which natural selection works. I’ve recently come to appreciate the fact that natural selection doesn’t necessarily mean those without the adaptive attribute died prematurely. It could simply mean they were slightly less successful reproductively. An imbalance which, over thousands of years, can lead to the adaptive trait dominating in a population. This also reminds me of the research which seems to be showing that the development of our large brains is probably largely due to our social nature. Being slightly more intelligent probably increased your ability to navigate social dynamics, giving you a slight reproductive edge. Over hundreds of thousands of years, this is probably what led to a rapid increase (in terms of evolution time frames) in our species intelligence. This entry was posted in Zeitgeist and tagged BBC, Biology, Evolution, Genetics, Human, Lactase persistence, Milk, Natural selection, Science. Bookmark the permalink. Thanks SAP. Researchers ‘are increasingly realising’ this? Is it not blindingly obvious? What have they been doing for all these years? Erwin Schrodinger was talking about this almost a century ago. Must have been a slow news day. Hmmm. Didn’t know Schrodinger had weighed in on culture and evolution. He is not as well known as he should be imho. He favours what he calls ‘faux-Lamarkism’. This is the idea that a mutation will not become a trait unless it is used, and in this way becomes useful. Use it or lose it. He cites walking upright as an example. In this way selection becomes guided by lifestyle, society and desire. Pretty obvious really, and he makes a good case. He’s always on the side of common-sense. Trouble is I cant remember where he says this. Probably in his essay ‘What is Life?’ which is published as a book together with ‘What is Mind?’. I think you’ll find him well worth a read. Culture being part of our environment has been part of the understanding of evolution. We breed our genetic future and have been breed by naturally selection, cultural pressures created by geography and how our spieces deals with each with the resouces: food, shelter / land, knowledge, and the populous in the local and contingent regions. Agreed. Darwin in ‘The Descent of Man’ talked about it. I think the BBC piece is meant to be educational, not breaking science.